Kinti Productions har planerat, producerat och genomfört stora och små event: Konferenser, möten, minnesstunder, festivaler, konserter, dansföreställningar, turnéer, releasefester, större middagar eller andra arrangemang. Vi har också tagit hand om programplanering, backstage management och logistik. Längre ner referenser till tidigare arrangemang och samarbeten. 2019 • Closing down the company. Thanking all customers, colleagues and artists for many fulfilling and exciting years in music, stage production and more. 2018 • Nordic Freelance 2018, a conference and a top meeting for independent freelance journalists from Scandinavian countries, in Malmö 14-16 september. With 150 guests and around 14 lecturers this meeting was the largest Nordic meetup for freelance journalists so far. Produced by Aminata Grut and Michael Tapper. 2017 • End of exotism. We love to work with genuine people who claim self defined identities, do what they really love and believe in their visions. For inspiration we look to movements like BENI, ”a creative platform for anyone trying to imagine a world beyond the labels enforced upon them”. Check their video.
.:: 2016 • Griot couple, long time love Sousou & Maher Cissoko are celebrating ten years of touring and composing together! Latest album AFRICA MOO BALU was released March 2014. Recording here made by the Swedish Radio at Folk & Världsmusikgalan 2016. Another, longer, program in Swedish can be listened to HERE. 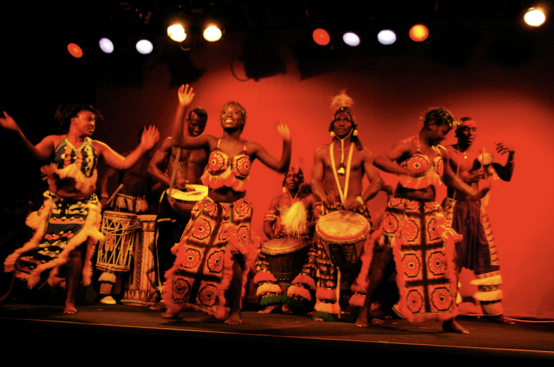 Also enjoy this VIDEO release, Jangfata, from their CD Stockholm-Dakar!
. :: 2013-2014 • We travelled to Touba, Senegal for the third time. This poetic film about the Sufi pilgrimage and the homepage of the filmmakers can give you an idea about what we experienced. Afrikansk artistgala 2007 (Tyrol), Produktion, management och turnéer med Chapeaux de Guinée mellan 2004-2006. 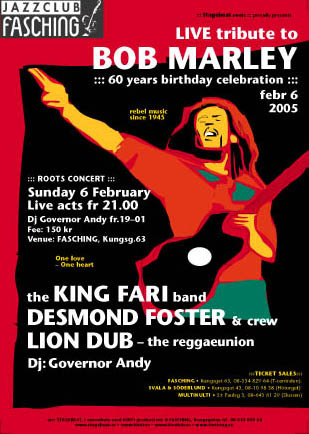 Stagebeat på Kulturhuset 2006 (Kulturhuset, Sergels Torg), Rhythm Roots Festival 2005 (Fasching), Bob Marley tribute 2005 (Fasching), Korafestivalen 2004 (Stallet), Korafestivalen 2003 (Stallet), Expo Afrika 2001 (Münchenbryggeriet), and more.